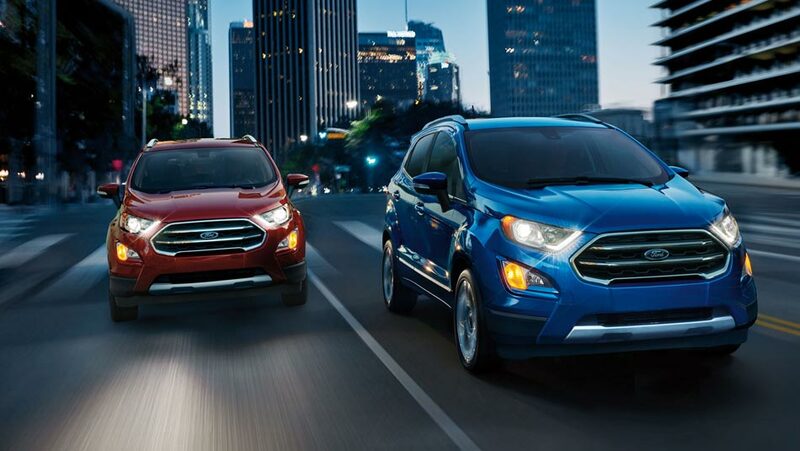 The world of the highly competitive compact-crossover market is nothing new to Ford. 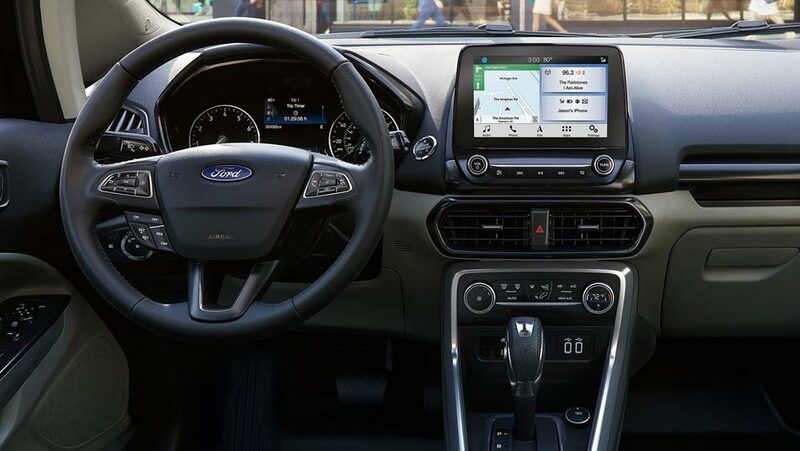 Since the early 21st century, the time around which Ford unleashed the game-changing Escape on the world, they’ve handily commanded this playing field. In keeping with our commitment to offering consumers both uncompromising quality and variety, we’re proud to present the latest vision for the compact-crossover: the Ford EcoSport. 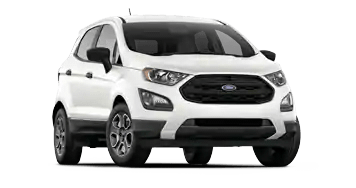 Kentwood Ford is over the moon about the EcoSport’s arrival in Canada, and has enjoyed adding this vehicle to our already-stellar lineup. 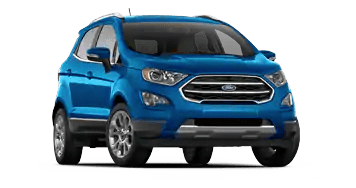 Still fresh from its introduction last year, the 2019 EcoSport is back and even better than before. 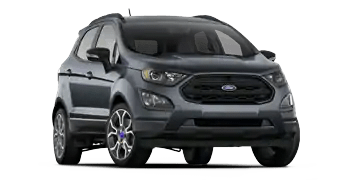 With newly standard features included on select trim levels, it’s hard to resist how competitive the EcoSport is compared to other compact crossovers in its segment. For starters, the EcoSport now comes with a heated steering wheel, 17” Painted Machined Aluminum Wheels, and a Body-Colour Rear Spoiler. Additionally, you can outfit your EcoSport with even more unique styling thanks to the SES Black Appearance Package, giving you a blacked-out hood decal, painted roof, and more. Everything you loved about the Ford EcoSport is still present for 2019. For starters, the 2018 EcoSport’s 1.0L EcoBoost® engine still provides incredible fuel efficiency—consuming just 8.6L/100km in the city and 8.1L/100 on the highway! Despite its compact size the EcoSport still manages to give you great utility, making the most out of its space with a maximum volume of 1,415L behind the first row seating, letting you store everything you need for the journey ahead. 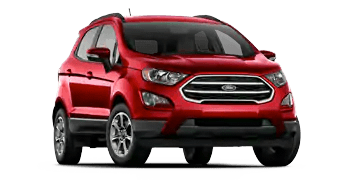 Cruise the City with the Ford EcoSport, today!